Are you part of a team that works on a groundbreaking kids series, an addictive game or app, an infectious children’s entertainment campaign? 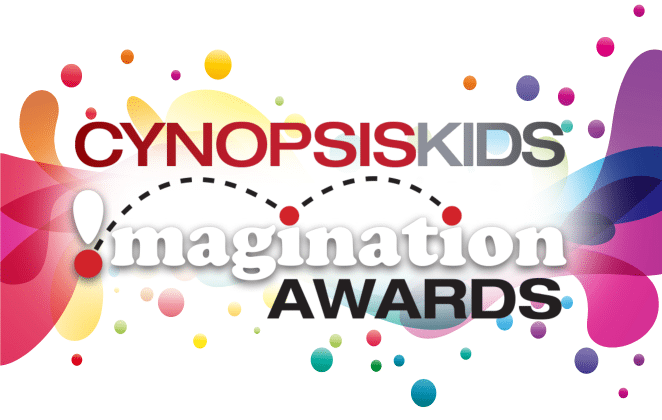 Cynopsis Kids !magination Awards honor the year’s best in children’s, tween and family programming, technology, marketing and the executives who work the magic behind the scenes. Recognizing outstanding achievements in content creation across platforms, and the campaigns that promote it, this unique awards program from the industry’s most trusted brand, Cynopsis Media, is judged by a panel of industry experts. 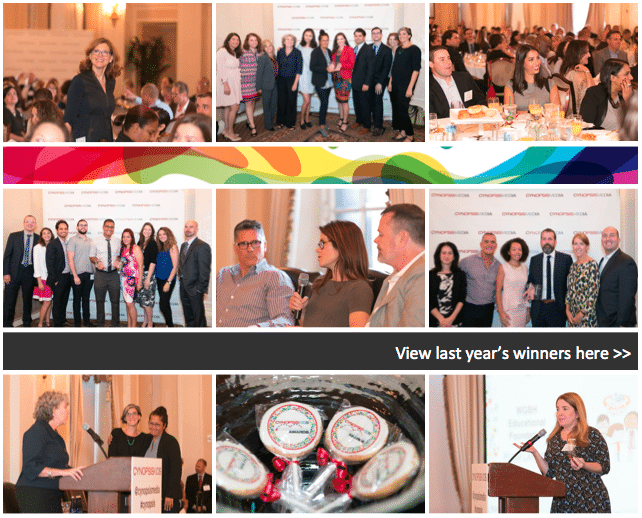 Winners will be recognized at the 5th annual awards event on September 27, 2016 in New York City. Vendors are also eligible to compete on behalf of a client. The program is open to national and international entrants. To be eligible, the entry/campaign initiative must have taken place (either in part or in full) between January 1, 2015, and December 31, 2015. The kids program or initiative must have taken place during this time, but it’s not necessary for it to be completed during the eligibility period. Note: although we welcome international entries/campaigns, they must have been at least partly accessible in the North American market. All entries are held in strict confidence and we will not share information unless we receive permission from the entrant. First, you will be guided through the registration process, and then the entry (synopsis + supporting materials) and payment process. Web sites/URLs * ROI Stats * Media Coverage * Photos * Research Documents * Screenshots * Testimonials * Videos * Web Stats. For videos, please upload the raw file (mov, wma or mp4) or provide a link to the content to be viewed (youtube, vimeo, company’s website or another video sharing platform). Which on-air and off-air advertising campaign for a new kid or tween TV series broke through the clutter and really got the attention of potential viewers? Excellent use of online marketing to successfully promote a kid-targeted TV long-form or short-form TV live action, animated or hybrid TV special or TV movie. This category honors the creative use of marketing platforms to promote a kid-targeted TV long-form or short-form TV live action, animated or hybrid series that resulted in higher awareness and viewership. Recognizing the impact of an excellent marketing campaign for a kid-targeted TV long-form or short-form TV live action, animated or hybrid TV special or TV movie. We live in a time when kids can carry the campaign for their favorite show around with them wherever they are. This category honors a kid-targeted TV long-form or short-form TV live action, animated or hybrid TV special or TV movie. Recognizing the creativity involved in a PR campaign designed to introduce a new kid-targeted TV series, special or movie. This category recognizes the importance of an on-air or off-air campaign that supported a kid/tween/family aimed pro-social initiative. How did an inspiring tie-in, including on-air and off-air components, carry the message for a series or special far beyond expectations? Honoring the impact of a campaign on social media platforms that brought remarkable viral attention to a kid/tween series or special. It’s not a real show/special unless there’s a series/show-related premium that announces the debut of a kid series or a special and this category honors the key-rings, paper weights, coffee mugs and mouse pads, fleeces etc., that you always want to keep. Whether it’s an appearance in a live-action episode or story arc, or a voiceover that makes an animated series shine, this category highlights the best guest appearance of the past year. It’s a whole new recipe for decadent desserts and sumptuous savories when there’s a child running the kitchen. Kids cooking shows are a hot trend – we’ll name the best of the batch. From youth-targeted music tours to stage incarnations of some of television’s best-loved shows, we’ll name the live event that most deserves to be in the spotlight. Kids and sports go hand in glove. Pitch CynKids on why your series best gets young viewers into the game. Do you have an exceptionally kid- and/or parent-friendly user interface? A fab kids tablet? A device no child should be without? Then this category is for you. From classical to pop and everything in between, this category celebrates the most musically connected show for the K6-11 set. Music is all over the preschool slate. We select the best tunes for toons. The beat goes on in series with appeal to tweens and teens. Not to mention the continuing crossover between TV and the pop charts. We pick the best use of music for this discerning demo. Having an attention-grabbing, engaging website for your brand can make all the difference when it comes to the youth audience. This award recognizes the web warriors. The recent slew of new gaming consoles brought an impressive number of new kids games. We pick this year’s overall winner. Mommy, why was that book made of paper? This category recognizes interactive books created for electronic devices aimed at kids. From literary learnings to arts endeavors and everything in between, submit your educational series or special to be considered for the honor of head of the class. The proliferation of activations around the Science, Technology, Engineering, Math curriculum make this category a bustling one. Do you have the most compelling program? We’d love to see it! Learning can certainly be fun and this category honors the best online support curriculum content/activities to support the content of an educational TV series or special aimed at kids of any age. Sometimes, what’s between the programming is just as entertaining. Honoring a short-form (six minutes or less) live-action, animated, puppet or hybrid TV or web-based series aimed at kids (preschoolers, K2-11, Tweens 9-14). Character loyalty begins here. This award honors long-form series produced specifically for K2-11 in live-action, puppetry, animated or a hybrid. Honoring the creativity within a long-form special or TV movie produced specifically for K2-11 in live-action, puppetry, animated or a hybrid. There’s an app for just about everything now, and this category recognizes the most engaging title in the competitive market for kids ages 6-11, from compelling content to great graphics. The smallest apps users have some of the biggest curiosities around. Titles are growing exponentially in the preschool market; we’ll pick the best of the bunch. There’s an app for just about everything and now, a category to recognize the outstanding educational kid-targeted app for mobile device. There’s an app for just about everything and now, a category to recognize the outstanding entertainment kid-targeted app for mobile device. From a compelling user interface to can’t-put-down content, the top mobile app in the tween market has to have it all to hold the attention of this bust demographic. We’ll crown the winner. This category honors the best preschool aged kids (0-5) targeted live-action, animated or hybrid long-form series launched in the US and Canada January 2015-December 31, 2015. This category honors the best kid/tween-targeted live-action, animated or hybrid long-form series launched in the US and Canada January 2015-December 31, 2015. Which online game packed the biggest punch as a stand-alone experience or brand extender? Cynopsis Kids selects the most explorative, interactive, immersive online experience for kids. The competition for young OTT viewers heated up big time this year with a landslide of original content from digital studios. We honor the best of the bunch. Some of the youngest video consumers aren’t getting their content from traditional kids networks. This category honors the best in OTT content for preschoolers. This category recognizes excellence in long-form series produced specifically for preschool aged kids (0-5) in live-action, puppetry, animated or a hybrid. Recognizing outstanding long-form one-off specials produced specifically for preschool aged kids (0-5) in live-action, puppetry, animation or a hybrid of these. Recognizing the power of an original score created specifically for a long or short-form series, TV Special or TV Movie aimed at kids of any age. Music is playing an increasing role in kids television programming. This award recognizes the most salient soundtrack of the year. Celebrating the top kids app, whether stand-alone or tied to a television show or existing brand. This category recognizes the remarkable translation to TV of a kid/young adult/family-targeted a literary work. This category recognizes the impact of a long-form series produced specifically for Tweens 9-14 in live-action, puppetry, animated or a hybrid. Recognizing a remarkable long-form special or television movie produced specifically for Tweens 9-14 in live-action, puppetry, animated or a hybrid. Scripted original video, short or clip produced exclusively for the web (programs that were repackaged and transitioned from the web to TV are also applicable). Let the games begin! Recognizing a video game for console, handheld device, phone or online for preschoolers, K2-11, Tweens 9-14. Did your online content raise TV viewing numbers, extend the life of the series or special, or even become a destination in its own right? This category recognizes a website and/or microsite created for an animated, live-action or hybrid series targeted to kids (preschoolers, K2-11, and/or Tweens 9-14). This category honors the executives, VP level and above, who seek out and cultivate their networks’ talent, top series, special events and/or promotional activities. This award goes to the agency professional for outstanding work in analyzing the evolving category of kids’ programming and coming up with innovative, strategic ways to position their clients for maximum ROI and exposure. Kids content rules the online roost. We celebrate the studio that made the biggest splash in the kids category via unique content and distribution avenues. It’s not all child’s play when it comes to running a kids series. Live-action or animated, we salute the best executives making magic behind the scenes. All entries must be submitted online by May 18, 2016 at 11:59pm EST. Entries submitted between May 19 and May 25, 2016, will automatically incur a $175 late fee, per entry. Finalists will be notified in early July and honored on September 27, 2016 in New York City. The price of each primary entry is $375. If you are submitting a secondary entry for the same campaign into two or more categories, the price drops to $199 for each additional entry. Please note, the content for any tagged entries at the reduced rate will need to be the same as the original entry. Payment in full must accompany the entry and is not refundable. There is a late entry surcharge of $175 per entry beginning May 19, 2016. Once your entry is submitted and paid for, you will be emailed a receipt confirming the payment. The receipt includes payment date, amount and card number. You can also download a full Invoice that has all the entries paid for listed on it.